We love this recipe so matcha! The matcha featured in this cool, refreshing smoothie will give you a natural boost of energy. Plus, it contains an amino acid called L-theanine that reduces stress and revs your metabolism. Catch additional summer recipes and meal-by-meal guides in the brand-new eight-week Bikini Series Meal Plan. This recipe is one of our favorites for warm days. 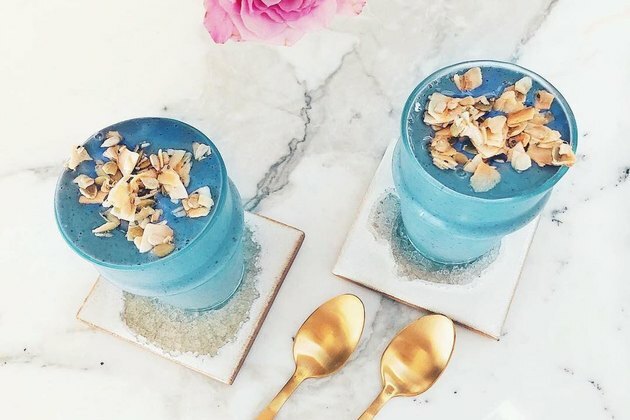 It’s packed with nutrients, and spirulina gives it the most gorgeous pop of blue. Top with coconut granola (optional). Enjoy! Blackberries are high in antioxidants, giving your skin a gorgeous glow. Plus, their high levels of manganese help to keep your mind sharp. Pour into a bowl and add your fave toppings. Enjoy! 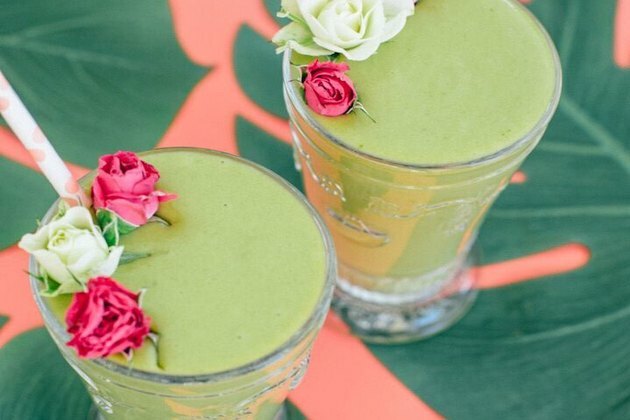 This coconut pineapple smoothie gives off some serious tropical vibes. 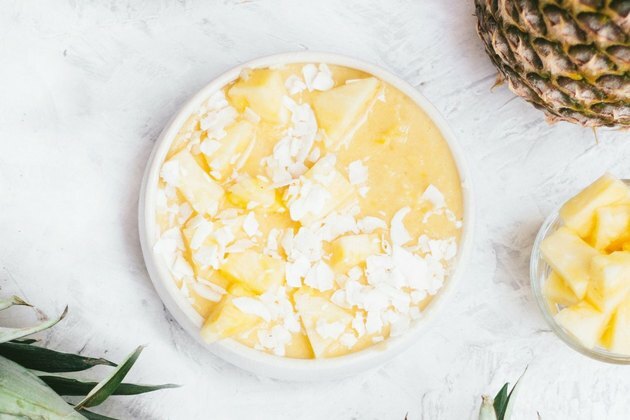 Pineapple is known for banishing bloat — perfect for revealing your gorgeous abs! Pour into a bowl and add your fave toppings. 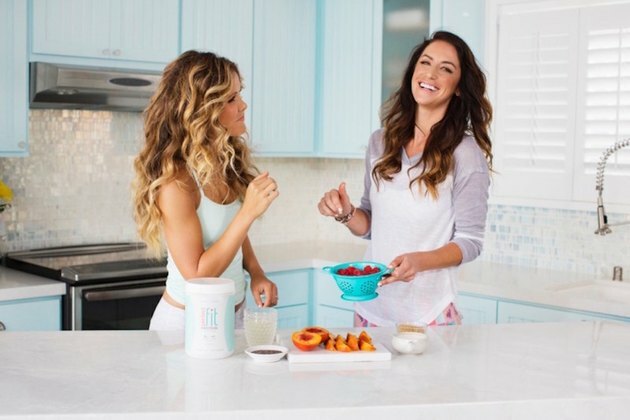 We love adding one tablespoon of unsweetened coconut flakes and a quarter-cup of fruit. 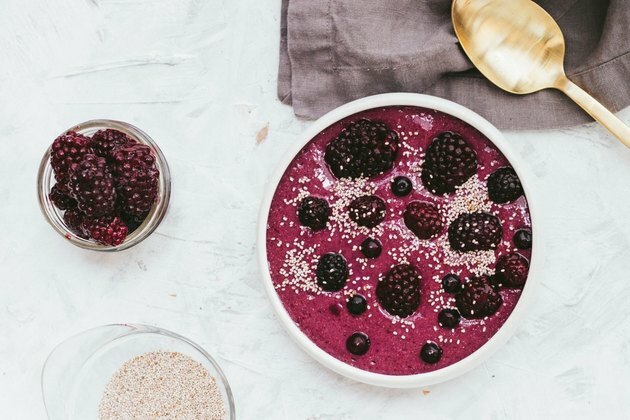 Summer is the perfect time to fuel your muscles with plenty of nourishing meals — and what better way to do it than with the 2018 Bikini Series? During this eight-week fitness and lifestyle challenge, you’ll be crushing daily workouts, eating delicious, slimming meals and feeling your most fit, confident and gorgeous. Sign up here to commit to the challenge and feel your best. Are you a smoothie fan? What are some of your go-to recipes? Let us know in the comments section.